The last ten years have brought challenges to the field of supply chain management. With the gradual recovery from a global recession has come an entirely new model of consumer demand: the on-demand economy. As companies continue clambering over one another to build more immersive, convenient shopping experiences, consumers expect products to be one click away from their doorstep. They want to track where it is and manufacturers want to monitor the condition of the goods while in transport. Orders range from dry goods to perishables such as medications, flowers or frozen food. Each type requires different conditions in-transit to deliver at the optimum quality. 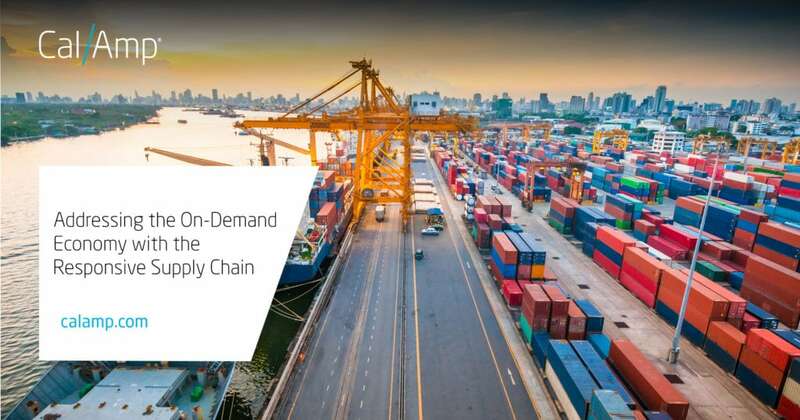 Supply chain management (SCM) or logistics is a critical step for businesses to meet customer demand, gain greater visibility into shipments in transit and comply with regulations. SCM is often one of the main KPIs of a company’s competitiveness. The supply chain is also a means for differentiation as companies attempt to strike their own unique balances between two factors: efficiency and responsiveness. The difference between these two considerations has to do with a company’s ability to meet uncertain demand at a reasonable cost. They can often be at odds with each other. Efficient supply chain management makes a company more competitive in the face of steady demand, trading lead time and nimbleness for lower unit cost. Efficiency relies on longer production and lead times, larger production batch sizes and demand remaining steady long enough to recoup higher initial setup costs. Responsive SCM, on the other hand, gains its agility from smaller production runs, just-in-time fulfillment and greater collaboration among stakeholders—producers, shippers, storage and logistics companies, resellers and so on. This collaboration only happens with a great deal of communication, transparency and accurate real-time data. Critical information travels iteratively in a feedback loop throughout the supply chain, giving stakeholders the heads-up they need to respond quickly by producing and shipping the correct quantities of product to meet the demand of the moment. To facilitate the required cooperation among stakeholders, it’s necessary to maintain visibility of the shipment from origin to destination through all modes of transit including air travel, ocean and land transportation methods, to ensure that valuable or perishable shipments are kept within compliance ranges to maintain brand integrity. Key parameters such as temperature, humidity, impact, vibration along with other determining factors must not only be logged to show compliance, but available instantly to enable corrections and adjustments in case the shipment is diverted or interrupted in any way. This is especially true in food and pharmaceutical shipments, which have limited shelf lives, and with last-mile shipments of products ordered online, for which it is very difficult to predict demand as well as when the consumer will be able to retrieve the package. The ability to track these shipments not just at the vehicle or container level, but down to the individual pallet or carton, is crucial. Only with the right up-to-the-minute information can adjustments be made in production or shipping schedules to ensure that the supply chain exactly balances demand—the perfect intersection of efficiency and responsiveness. For more information about how today’s technology brings The New How to real-time, responsive supply chain management, visit calamp.com/solutions/supply-chain-management.